Mallick, B. N., & S. Inoué (1999). Rapid Eye Movement Sleep. New Delhi: Narosa Publishing House; distributed in the Americas, Europe, Australia, & Japan by Marcel Dekker Inc (New York). Rasch, Björn, & Jan Born (2013). “About Sleep's Role in Memory”. Physiological Reviews 93, pp. 681–766. Koulack, D. To Catch A Dream: Explorations of Dreaming. New York, SUNY, 1991. Carson III, Culley C., Kirby, Roger S., Goldstein, Irwin, editors, "Textbook of Erectile Dysfunction" Oxford, U.K.; Isis Medical Media, Ltd., 1999; Moreland, R.B. & Nehra, A.; Pathosphysiology of erectile dysfunction; a molecular basis, role of NPT in maintaining potency: pp. 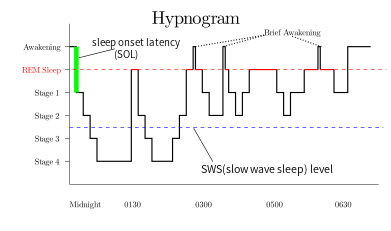 105–15. 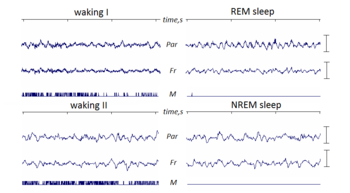 LSDBase - an open sleep research database with images of REM sleep recordings.